Crowdfunding campaigns are increasingly popular ways to fund a business and get it off the ground; the trouble is, they're not always successful. But what if the failure of your crowdfunding campaign is actually the best thing that could have happened for your business? A chance to re-evaluate, go back to basics, built a better product, and create a better foundation for the long-term success of your product? Cruick launched on the 1st of January 2018, so it’s been an exciting couple of weeks to say the least, but the story of the brand started well over a year ago - and it actually began with failure. Cruick was initially supposed to be launched with a Kickstarter campaign in February 2017, but it didn’t fund; it actually came nowhere close to funding. As it turns out though, failure isn’t always the worst thing in the world. I put a huge effort into the production of the original leather camera strap prototypes, colour-graded a cinematic video, and agonised over the images for what I hoped would be the perfect Kickstarter campaign. Hundreds of hours over months and months were poured into a four-week Kickstarter campaign that looked great, but bombed. To see it fall so short was disappointing, as it always is if big effort isn’t rewarded. Ultimately my mistake was concentrating far too much on the product and the visuals for the campaign and neglecting pre-awareness. Marketing and PR are king for any business. Yes, you need a great product and you need to make it look excellent, but whatever you’re selling, no matter how good your skills or offerings, you can’t even give away diamonds if nobody is looking your way. I think it would have been easy to abandon the brand at the time when it funded less than 5% of target, but I decided to take a couple of days, look again, and pull any positives out of the failed campaign that I could. I think it’s important to be balanced when things go wrong. You can’t shift the blame - it was definitely my planning that caused the launch to fall flat - but you can make sure to learn from failure and do better next time. So, once I looked at the metrics for the Kickstarter campaign I found the motivation I was looking for. 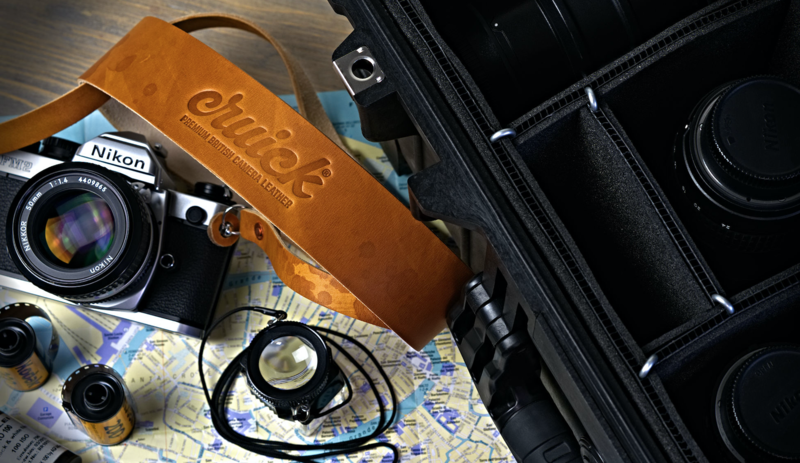 While very few people backed the brand overall, it turned out that over 10% of everyone who actually visited the Kickstarter page ended up ordering a camera strap. A sales conversion of over 10% is really, really strong approval, especially with higher-end products. I was clearly making a brand that people responded to, and that told me that it was just a question of exposure. The product was good and the potential was absolutely real. So, for the last year I decided to really double my efforts on getting everything perfect for launch number two in 2018. I’m a year more experienced and skilled in my craft for a start, and the result is that the product is undeniably better and more polished than it was a year ago. 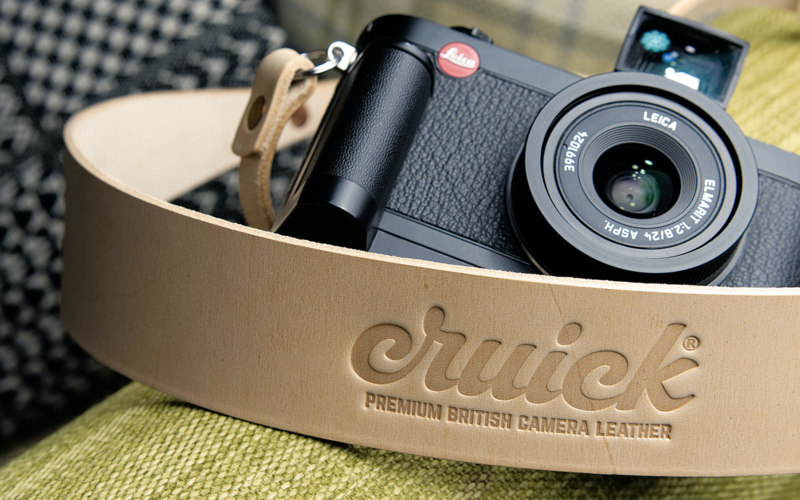 Another major bonus is that through making more contacts with British suppliers I’ve actually been able to source better materials domestically in the UK, meaning I’m making Cruick camera leather entirely in England from high-end British heritage materials backed by amazing history. Something fully British made from start to finish is not only rare and a point of pride and prestige for the brand, it’s also increasingly marketable and PR-worthy. The brand is now clear with a strong identity, the website looks great, and most importantly, I’ve got a whole year of marketing activity planned and mapped out! Even having the extra time to sort out more efficient fulfilment options has meant that Cruick has now launched offering free global shipping, whereas last year the brand would have only shipped domestically and to the rest of the EU. 2017’s mistakes have turned into 2018’s stronger product, better website, nicer visuals, much bigger market access and a compelling marketing roadmap. 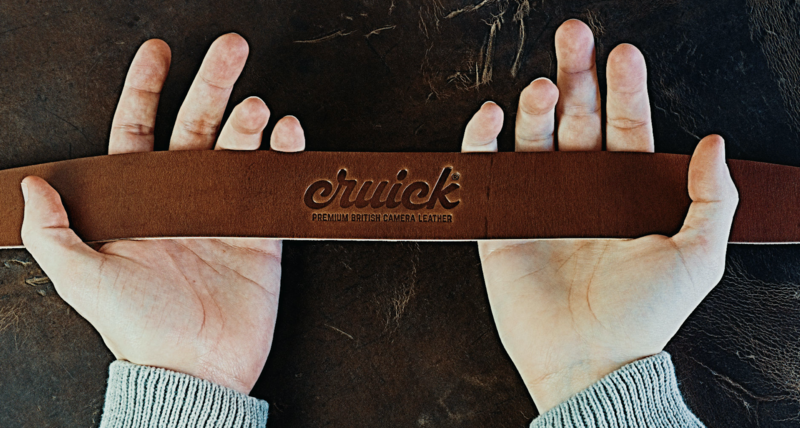 The failed Kickstarter, the lessons it forced me to learn, and the extra time I’ve used has added so much more potential and personal satisfaction to what the Cruick brand has become. I’m certainly not for a second suggesting that people should just doggedly plug away at something that will never work, but if you absolutely know the product is really high-quality and you definitely know there is a market for it, I think you need to understand that you’re a better businessperson after a mistake as long as you choose to pull the lessons from it. Today, I’m genuinely glad last year’s launch failed, and I can’t wait to see what 2018 has got in store for Cruick.